We are offering an high-end quality of Decorative Ceiling Fan. These have flawless and wider blades for extra air flow. Moreover, these are extremely easy to install and requires very little maintenance. - All Sizes White & Brown Colours. - Compact Design with Aluminum Die Cast Body. Hi-Breeze Performance output.2) Low-loss Electrical Stamping to ensure minimum power consumption.3) Light weight aluminium pressure die-cast perfectly balanced motor body.4) Aerodynamically designed Aluminium blades for maximum silent air flow.5) Powder coated paint provides excellent long lasting finish. · Wider tip blades for effective air ciruilation. · Excellent & long lasting paint finish. · Optimum performance at low voltage. 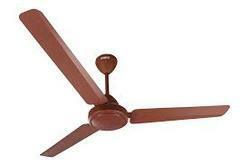 We are engaged in manufacturing, supplying and exporting wide assortment range of Fancy Ceiling Fan. These fans are manufactured using high grade raw material procured from reliable vendors of the industry, ensuring durability at customer end. Moreover, we can also customize these products as per client requirement and offer to them at market leading prices. Magneto offers first of its kind fire retardant, all metal, feature rich Ceiling Mounted Ventilation Fan in various options. The ease of application with quiet performance are a unique combination in its class. Our clients can avail from us Fans manufactured by Bajaj, Krompton Greaves, Usha and Khaitan from us at the most competitive prices. These are manufactured under a quality bound process, using finest material. The fans can effectively provide respite from heat in summers and keep the room well ventilated. 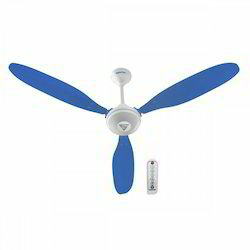 We offer a range of Bajaj Fans. Our entire range include Ceiling fans, Pedestal fans, Wall fans, Fresh Air fans. The whole range of fans are available in different specifications. We offer an exclusive range of Sapphire Ceiling Fans to meet increasing market demands. Crafted beautifully by our skilled technicians in white colour, these fans are known for their high speed, low maintenance, smooth edges and excellent designs. Working with an aim to garner maximum client satisfaction, our professionals make it a point to ensure safe and secure delivery of these fans.